On 22nd April 2014, Oluwatoyin Azeez, a British black woman of Nigerian origin, was at her home in Bradford with her young children (aged between 1 – 13), when officers from West Yorkshire Police arrived at her property, demanding to speak to Ms Azeez’s lodger (the teenage son of a family friend), who was living with the family at the time. Previous visits to Ms Azeez’s home, by the police, to check on the lodger, who was at the time under a curfew order, had passed entirely peacefully. But on this occasion the lead officer, PC 521 Hirst, forced his way into the premises as soon as Ms Azeez answered the door to him, pushing her to the floor in the process. Ms Azeez is a law-abiding person, of good character, with no previous convictions, or adverse interactions with the police. She had willingly answered the door to PC Hirst, and the violence which he then displayed, in bursting past her into the house, was completely unjustified. Ms Azeez, in a state of considerable distress, protested to PC Hirst that he had no right to enter her house in such a manner. She was at the time, dressed only in a loose-fitting kaftan, having been in the shower when the police officers first knocked at the door. At this point, she asked PC Hirst to leave, whereupon he pushed her in the chest, making contact with her breast, and again knocked her to the floor. Now even more distressed, Ms Azeez got to her feet and asked, again, that PC Hirst leave. In response he assaulted her, grabbing her by the neck and pushing her against the wall. All of this was unfolding in front of Ms Azeez’s young children. The Azeez children pleaded with PC Hirst to release their mother, to no avail. As Ms Azeez began to choke and feel lightheaded, PC Hirst then escalated the assault by spraying CS incapacitant gas into her face at close range, and without warning. The gas spread throughout the close confines of the house, and also began to affect the young children, one of whom was a one year old infant. PC Hirst then dragged Ms Azeez outside, and onto the pavement, causing her to fall and strike her head on the ground. Forcing Ms Azeez to keep her head down by kneeling on her back, PC Hirst then handcuffed her arms behind her back and left her lying in the street. Added to the pain and degradation she was already suffering, was the further humiliation that she was wearing only loose-fitting clothing and felt exposed to the public view of her neighbourhood. PC Hirst then returned and renewed his assault upon Ms Azeez, pulling her to her feet by her handcuffs and then pushing her back down, causing her to bang her head against her garden wall, and vomit. PC Hirst then further tormented Ms Azeez by informing her that, not only was she to be taken into police custody (for no specified reason and in breach of PACE), but, also, Social Services would be called and her children taken away from her. Ms Azeez was then transported in the caged rear section of a police van to Bradford’s notorious Trafalgar House Police Station, still without any explanation as to why she had been arrested, or even confirmation that she, was, technically, under arrest. At the police station, PC Hirst falsely asserted that Ms Azeez had assaulted him. But, after listening to his account, the custody sergeant refused to authorise detention of Ms Azeez, on the grounds that PC Hirst had not been acting in the course of his duty. He had, in truth, no lawful right to enter Ms Azeez’s premises, uninvited. Ms Azeez was then told by the custody sergeant that she was free to go, but was offered no explanation, or apology. Given her obvious injuries, the custody sergeant advised that he would arrange for her to be given a lift to the local hospital. She was directed to wait in the police station public waiting area. She did, for over an hour, before eventually just leaving the police station and walking home, partially clothed and in custody slippers, injured and without any money. After walking some distance, she eventually had to accept a lift from a stranger to get back home. Fortunately, she discovered that her children had not been taken by Social Services and were, in fact, being looked after by a friend. But all of the family were deeply traumatised by what had happened, and the children, as well as Ms Azeez, were still suffering from the effects of the CS gas spray which PC Hirst had discharged in their home. PC Hirst is known to have worked in the Bradford City NPT team in 2015 and 2016 as part of their ‘off-road’ motorcycle unit. His current deployment within the force is not known. Ms Azeez, understandably, brought an official complaint against the police, but found the Professional Standards Department (PSD) officers handling her complaint to be generally unhelpful, rude and dismissive. Following their ‘investigation’ (the term is used loosely), it was concluded that although the officer did not have a lawful power of entry he had “an honestly held belief” that he did. Accordingly, the officer did not have a case to answer in misconduct, or gross misconduct, but would “be given words of advice and appropriate training”. Ms Azeez felt deeply hurt, not only because of the serious and sustained assault she had suffered at the hands of PC Hirst, but because of the total lack of help, or sympathy, offered to her by West Yorkshire Police as a whole, and who, rather than supporting her as a victim, seemed to rally behind, and protect, PC Hirst. She subsequently instructed Iain Gould , one of the country’s leading lawyers in police misconduct actions, who commenced court proceedings on behalf of Ms Azeez against West Yorkshire Police for assault and battery, false imprisonment, trespass to property and breaches of the Human Rights Act. “I write on behalf of West Yorkshire Police to offer my sincere apologies for the way in which you were treated by our officers on 22nd April 2014. Having reviewed the incident, I can see that there were significant failings on the part of the officers involved, both in terms of their knowledge of their lawful powers and then the way in which the situation developed. It is also unacceptable that you (Ms Azeez) were not provided with a proper explanation for the custody officer’s decision to release you from custody on the night of the incident. I fully appreciate how distressing this whole event must have been for you, and acknowledge that the consequences of the incident, for both you and your children, have been serious and prolonged. As outlined in the report of the Professional Standards Department, both PC Hirst and PC Nkasu received words of advice and appropriate training as a result of this incident to ensure the same mistakes are not made again. West Yorkshire Police aim to ensure the safety of all members of the community and, on this day, I very much regret that the standards we set were not met. The settlement terms achieved should go a long way to helping Ms Azeez put her life back together after this highly distressing incident, the memories of which had caused her to have to relocate her family from the Bradford area to London”. What happened to Ms Azeez and her family is truly outrageous and the settlement does not take away the fact that two officers, one a perpetrator, and the other failing to challenge the unlawful behaviour, have been present at a serious assault on a mother, in front of her young children. Then continued to taunt and humiliate her, in a most calculating and appalling fashion. Yet, they remain serving officers with West Yorkshire Police. 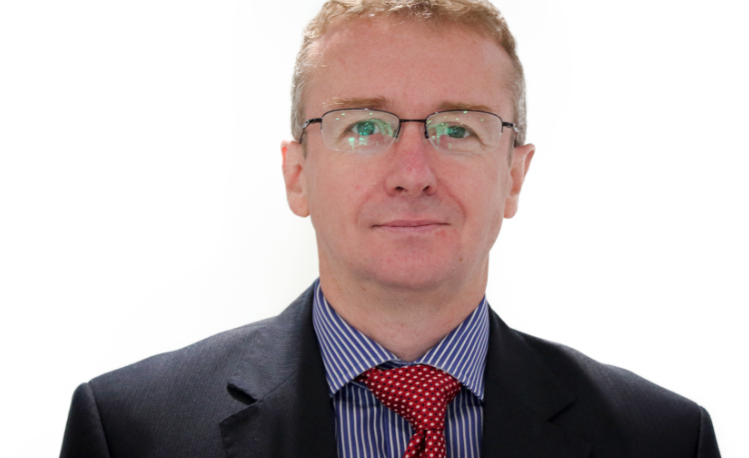 Iain Gould concludes; “Obviously the assault perpetrated upon her by an armed officer in front of her young children was absolutely unconscionable, but to me equally shocking and deplorable was the way in which West Yorkshire Police as an organisation callously turned their backs on Ms Azeez once they determined that they in fact had no grounds to arrest her. It would have been a simple and straightforward matter at that stage for a senior officer to have offered an apology, some words of kindness and arrange immediate medical treatment and, thereafter, a lift home. Even just an explanation as to what had happened. As it was Ms Azeez was left completely in the dark both as to the reason for her arrest and the reason for her release. But it seems that the Force was only interested in her if they could classify her as a villain; they had no concern for her as a victim – the victim of one of their own officers, indeed. Having been assaulted in her home, effectively abducted, separated from her children and taken across town against her will, and without any just cause, she was now ‘thrown out’ onto the street to make her own way home. Further insult to injury was added by the forces’ usual approach to a complaint against its officers: Treating the complainant with contempt, and carrying out an investigation motivated by the desire not to discover the truth, but to shield their own officers. Eventually, they have done the right thing, but only because my client had the courage and conviction to pursue a court claim to enforce her rights”. Whilst it might be difficult for the reader to comprehend, the conduct of the two constables is not at all out of the routine for West Yorkshire Police, and they feel empowered to act this way because they are certain that, backed by the powerful police officers’ ‘union’, the Police Federation, there will be no meaningful sanction from the force’s entirely discredited Professional Standards Department. West Yorkshire Police chief constable, Dee Collins. Pictured on duty with “PC Edward Walker”. 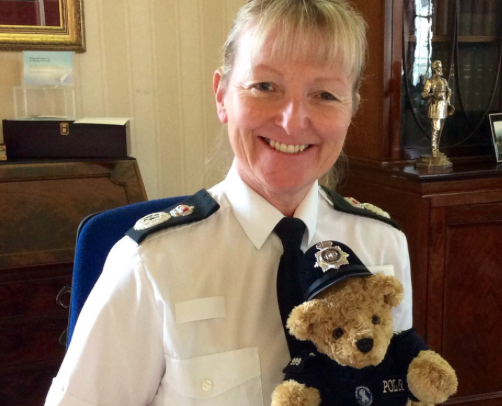 Meantime the force’s chief constable, Dee Collins is happy to broadcast, on social media, pictures of her carrying a teddy bear around and, at the same time, pushing out PR guff about how she puts victims at the heart of her police work. That, on the evidence of the Azeez case, is simply not true. The chief constable also boasts about providing statements in support of her officers who are assaulted (‘he touched my arm‘ was the basis of one ‘assault on constable’ charge) but was nowhere in sight in Oluwatoyin Azeez’s hour of need. It is also noteworthy that PC Hirst made an allegation of assault against Ms Azeez that the custody sergeant, to his credit, wouldn’t entertain. That is double standards at its very worst. Ms Collins’ past role as a ‘Fed rep’ has, perhaps, never really left her? Ms Azeez’s elected policing representative, PCC Mark Burns-Williamson, and the chief constable, Ms Collins, were approached for comment. The force press office provided a response that was almost identical to the gist of the letter of apology sent to Ms Azeez. When pressed for a comment attributable to the chief constable they, surprisingly, declined. The PCC’s press officer, Dolores Cowburn, did not even acknowledged the email sent to her.